Using a mortar and pestle, pound garlic, ginger, shallot and chilli until a paste forms. Heat a wok over medium heat. Add olive oil, then lemongrass. Stir-fry for 2 minutes or until fragrant. Add garlic paste and cook for another 1 minute. Add coconut juice and tamarind, and mash into broth until dissolved. Bring to the boil, then add fish sauce. Stir to combine. 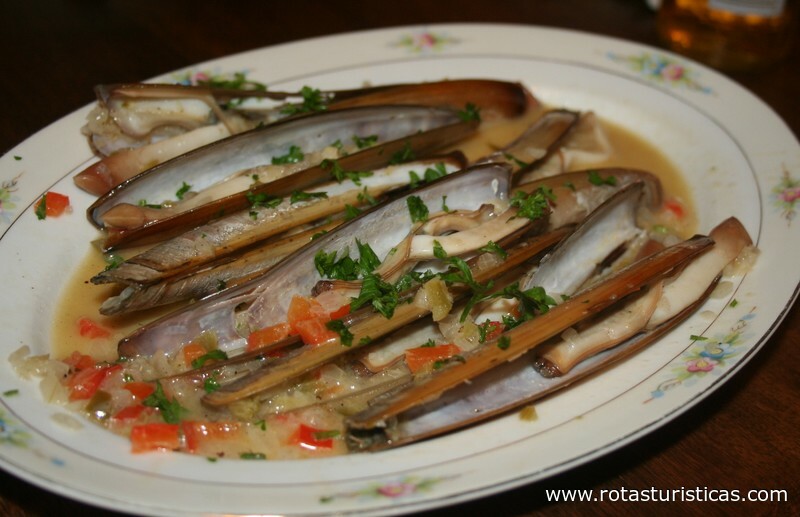 Add clams, then place razor clams on top. Cover with a lid and cook for 2 minutes or until clams open. Add lime rind, lime juice and tomato and cook for 1 minute. Stir, then add samphire, dill and spring onion. Transfer to a bowl, garnish with fried garlic, and serve.